Stengel Passenger List close up, a photo by a_kublik on Flickr. Three years ago, my sister and I visited the Pier 21 Museum in Halifax, Nova Scotia, where staff in the research centre helped us locate the passenger lists for three out of four sets of our great-grandparents. 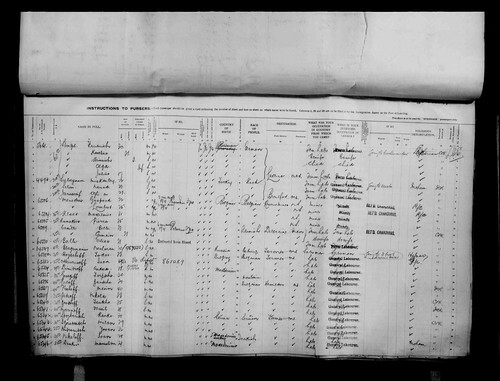 The image above is the official record of the entry of Friedrich and Karolina Stengel into Canada (possibly via Pier 2, in Halifax) on March 26, 1912. They travelled with their two children – their three year old son Heinrich and five month old daughter Olga (my grandmother) – as well as Friedrich’s 17 year old brother Julius. They had $60.00, and I didn’t need the note at the top right of the page to tell me they had travelled steerage class. I had always been interested in my family’s history, but seeing these records sparked a desire to search beyond the collection of family tales I had been told over the years. Since then, I have located many interesting facts about my family’s history. I am still struggling how best to write these stories down – is it better to write a non-fiction family history and “stick to the facts” despite all the gaps in my knowledge, or would the freedom of fiction allow me to more fully explore the richness of my great-grandparents’ lives? While I decide, I will occasionally share interesting “research notes” here. 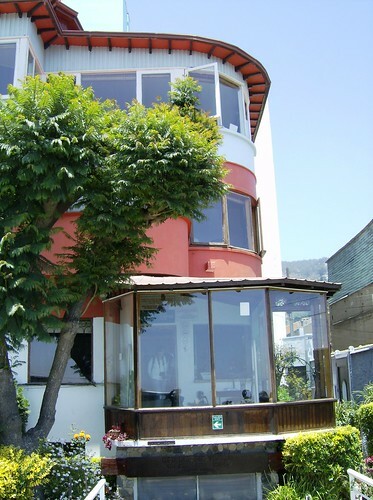 Neruda’s house in Valparaiso, a photo by a_kublik on Flickr. in the skeleton of another’s abandoned dream. for the best vantage of the bay. and listen to the poet recite as shadows grew. into the darkness, to live and write quietly.